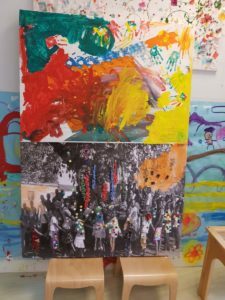 I was asked to help raise money for an academy of music in Ghana. 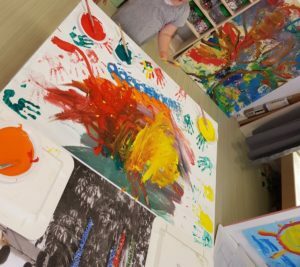 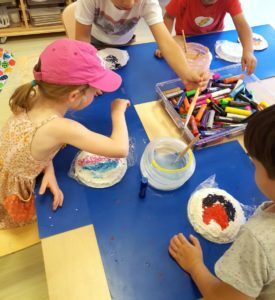 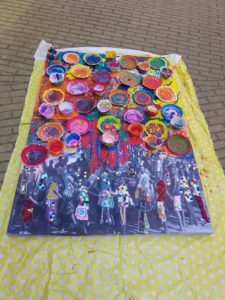 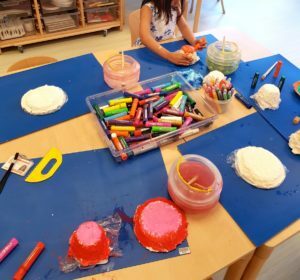 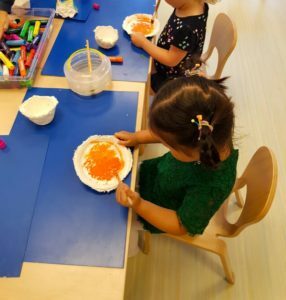 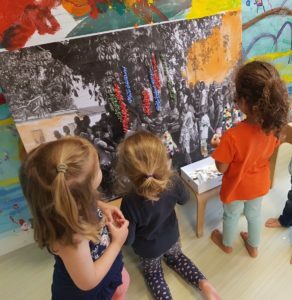 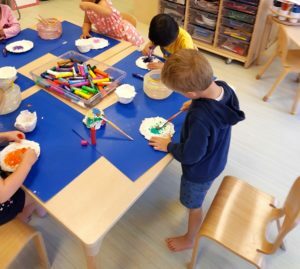 This project is made by children between 4 and 5 years old from the International School of Amsterdam. 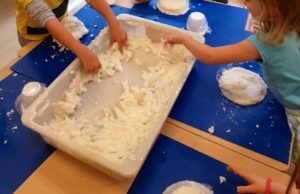 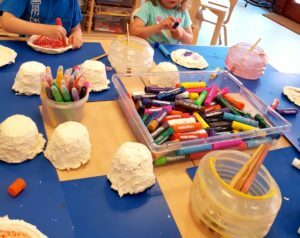 We made the paper pasta mache. 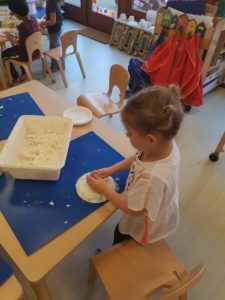 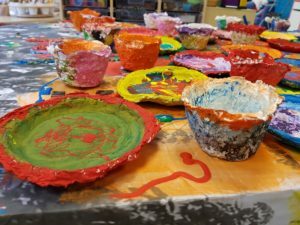 They made their own plates and bowls with the pasta and after that when they were dry, they painted them. 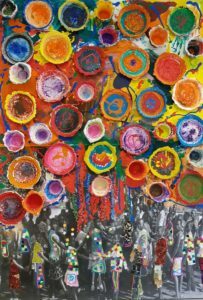 We took a canvas and added a picture from the children of Ghana joining hands around the tree. 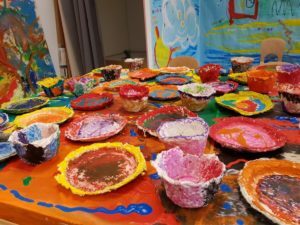 The children from ISA made the crown of the tree, with paint and the plates and bowls.And a collage with recycled materials on the picture. 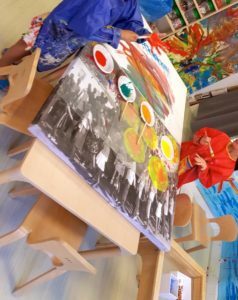 The meaning of the canvas is the powder of joining hands from children all around the world that help each other when is needed.